Mtn just introduced a new service which is called the mtn callerfeel. This lets you express yourself or even advertise your service through a short message that appears on your callers screen when they call your no. 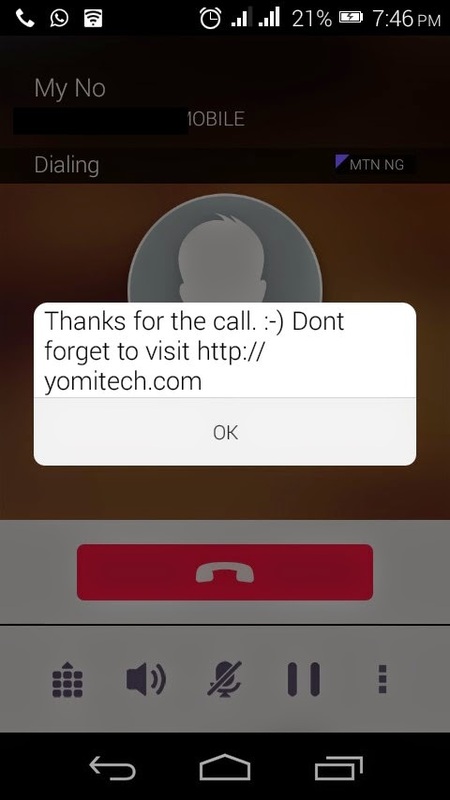 The message appears as a pop-up notification on the callers phone screen and you can easily personalize your CallerFeel message by creating your own. The registration cost N50 a month and you also enjoy free 30days trial till the 31st of May 2015. 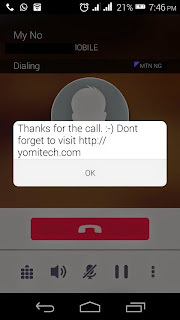 How to personalize your CallerFeel message?